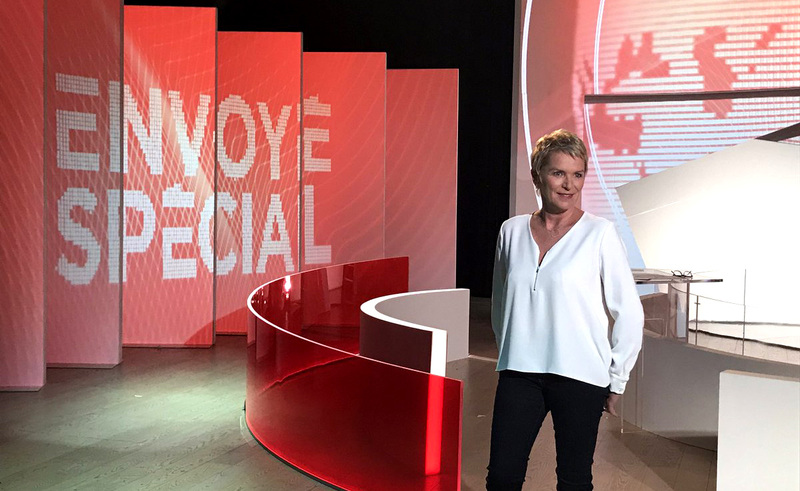 France 2’s “Envoyé Spécial,” a weekly investigative newsmagazine program, began season two with a new look that layers glass, video projection and augmented reality technology inside a virtual skyscraper. 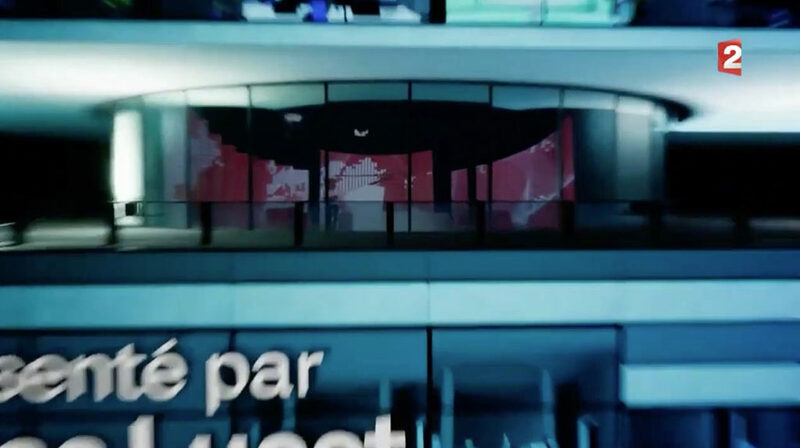 From Olivier Illouz’s Studios 40, the design creates a video canvas to help tease and debrief stories in a dynamic way. 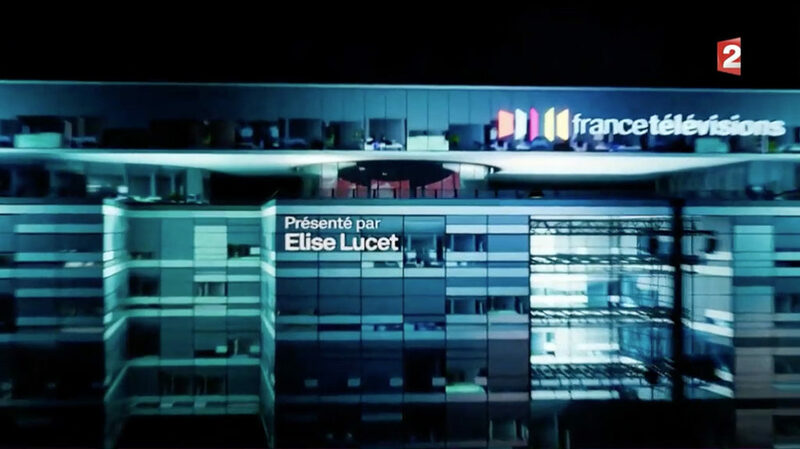 Throughout the program, host Elise Lucet moves between the concentric rings of scenery as video appears projected on the various free-floating panels around her or in floating AR panels. 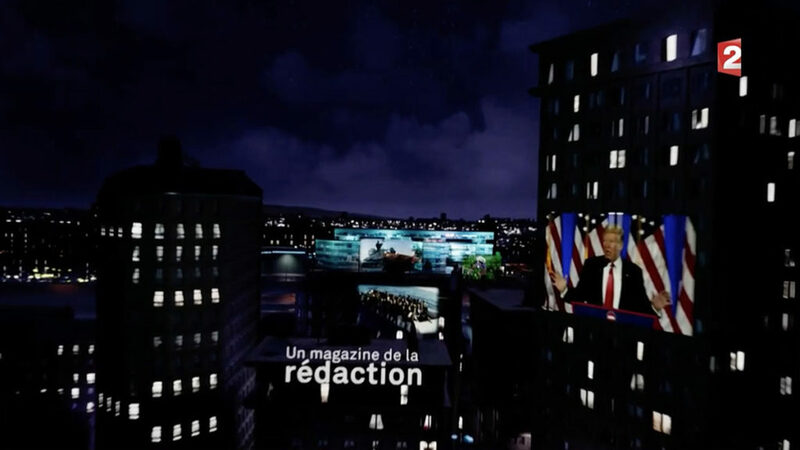 Augmented reality graphics and animation from Dreamwall also create the show’s opening sequence, which takes viewers through Paris to the show’s studio in the France Télévisions building. 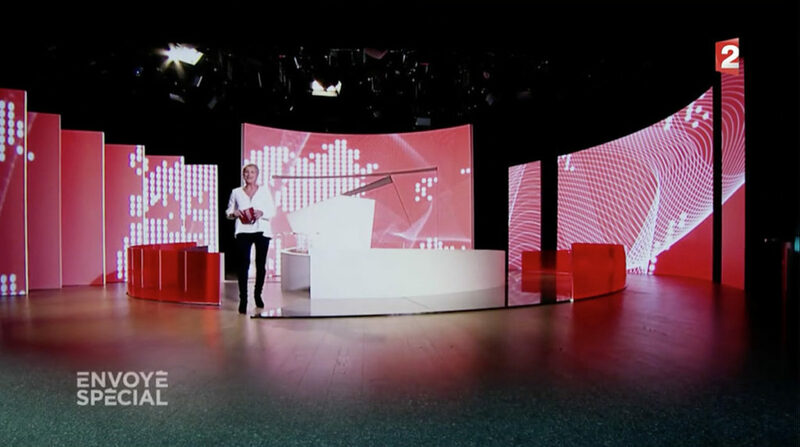 The opening credits merge the live studio camera shot with the graphics from Dreamwall, rendered using Unreal Engine in real-time through Zero Density’s Reality virtual studio solution, allowing Lucet to appear at the conclusion. 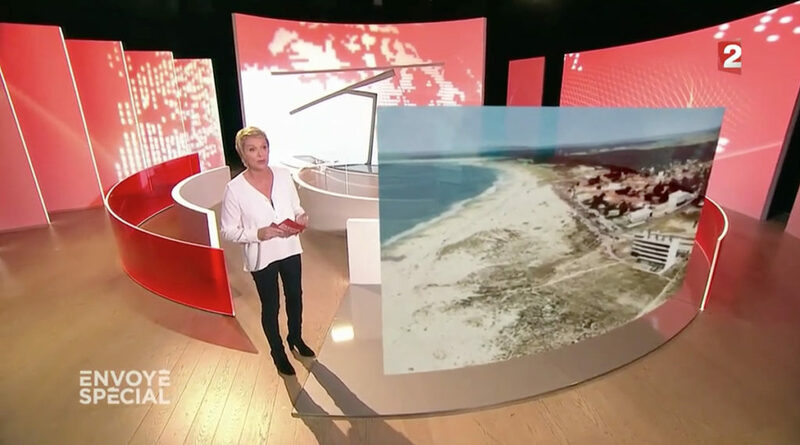 Example of augmented reality graphic for story. 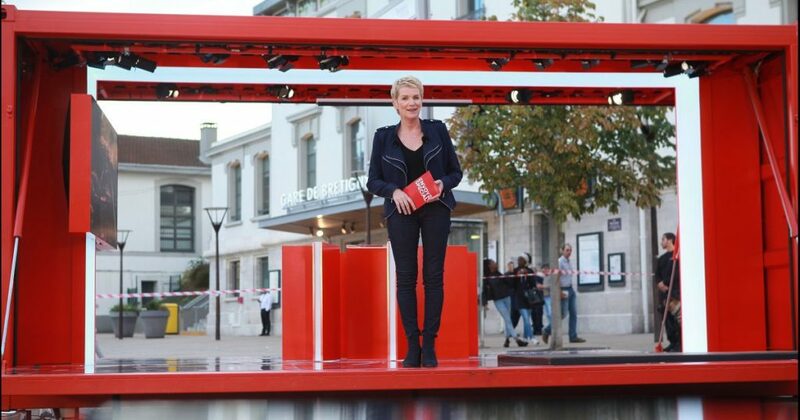 Previously, during the first season, “Envoyé Spécial” filmed on an outdoor set created from a shipping container.